Here at the Film Independent offices, we’ve finally recovered from our brief (very brief) post-Spirit Awards lull and have officially started looking ahead to June. And if you squint hard enough and use your imagination you can actually see just what it is we’re looking at. There it is, just two months away, waiting to be added to your summer events calendar. That’s right—it’s the 2016 LA Film Festival! So save the dates June 1-9 and start drafting your out-of-office notifications now. After all, these movies aren’t going to watch themselves, and we can pretty much guarantee that you’ll want to be a part of this year’s Festival. Excited? We hope so. And if by chance you’re already a Film Independent Member, then congratulations! 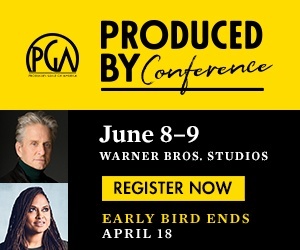 Starting today, you can officially begin purchasing pre-sale passes (and save 10% on a Fast or Film Pass AND get exclusive access to a Member pass)—passes go on sale for the general public starting Tuesday, April 12. But what’s new for 2016, you ask? Well, our new home, for starters. We’ve upgraded to swanky new digs at the ArcLight Cinemas in both Hollywood and Culver City—the perfect spot for a Festival which for 22 years now has championed the best and most unique independent filmmaking voices from both America and abroad. This year’s full line-up won’t be announced until April 26 (stay tuned)—but one title has been announced: Ricardo de Montreuil’s touching new drama Lowriders, which we’re honored to announce will be opening the Festival June 1 at the ArcLight Hollywood Cinerama Dome. Produced by Brian Grazer and Film Independent Forum alum Jason Blum, Lowriders stars Eva Longoria, Demián Bichir, Melissa Benoist, Theo Rossi and Gabriel Chavarria in a gritty coming-of-age tale set amid East LA’s vibrant and immersive car culture. Chavarria stars as Danny, a talented young street artist caught between the lowrider world embodied by his old-school father (Bichir) and the adrenaline-fueled outlet that gives his creativity a much-needed avenue for self-expression. Film Independent Spirit Award winner and LA Film Festival alum Ryan Coogler (Creed) will be honored as the 2016 Festival’s Guest Director. Coogler’s Fruitvale Station appeared at the festival in 2013 and later won Best First Feature at the 2014 Film Independent Spirit Awards. Coogler will attend Film Independent’s Filmmaker Retreat—an annual event which brings each year’s feature category directors together with high-profile mentors and selected Film Independent Board Members for a community-building event prior to the official start of the 2016 Festival. In fact, Array bought last year’s LA Film Festival US Fiction award-winner Out of My Hand for distribution, as well as Festival favorite Ayanda. Additional Array titles include Middle of Nowhere, Ashes and Embers, Mississippi Damned, Kinyarwanda, Restless City and many more. “We look forward to being part of this year’s unique line-up,” said Lowriders co-producer Jason Blum. “The LA Film Festival is a wonderful event”—words to live by. For more info, please visit the official LA Film Festival website and stay tuned to this blog. Better yet, come say “hi” to us in person—individual tickets for Members go on sale Tuesday, May 5 and will open to the general public on Tuesday, May 10. To learn how to become a Member of Film Independent, just click here. It’s worth it—trust us. So click on over and we’ll see you soon in the City of Angels!